When I saw the name of the recipe, "Piggy Burgers", in the Southern Living cookbook I had to cringe. I am going to call mine pork bacon burgers. As I read the recipe it sounded much better than the name so tried the recipe on Lyle and Bettie. I did change it somewhat as I could not find the seasoning blend the recipe called for. Bettie really liked them as she is a bacon fan, Lyle and I thought they were good and a cheaper riff on hamburgers as ground beef has gotten so expensive now. I did mine in the house in a cast iron skillet but on the grill would be good also. Look for a lean mix of ground pork I got mine at the meat counter at our local Fareway Store. 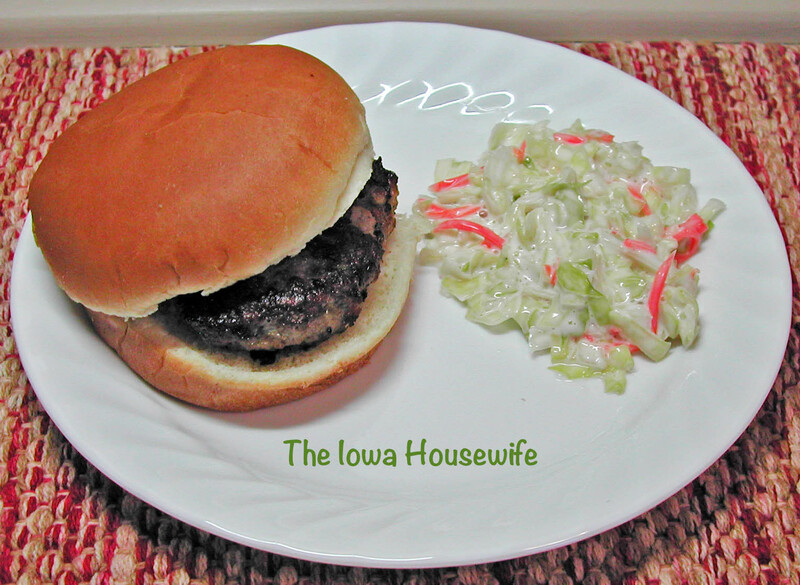 Serve with the toppings you would use for hamburgers or bottled barbecue sauce. Preheat grill to medium high heat. Combine first 3 ingredients. If using the bacon and chive stir in about 2 teaspoons of molasses with the ground pork. Gently shape into 4- 4 inch patties and covered with grill lid, grill 5 minutes on each side. Or until pork is no longer pink. Serve on the toasted buns with you choice of toppings. ground beef patties. Do look for a leaner mix of meat so there is not an over abundance of fat in the ratio. Bettie just said we should have them again soon.